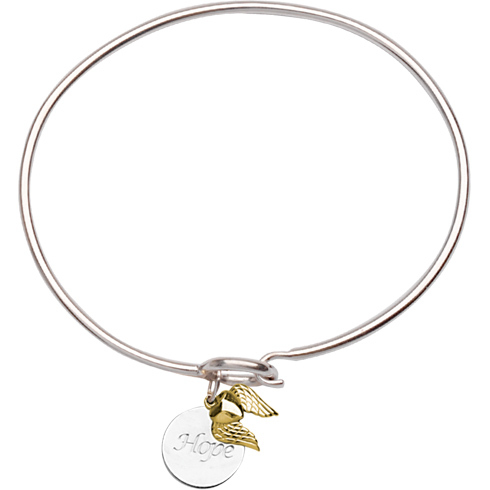 This sterling silver Hope disc bangle bracelet features a hollow 14kt yellow gold wings charm. Disc diameter: 1/2in, half the size of a quarter. Bangle fits wrist sizes up to 8in. Item weight: 7.6 grams. Import.